Russell Osborne and Ros Consoli completed an eighteen month, 6500km, Trans-Continental Camel Expedition from Darwin to Melbourne, through some of the harshest environments on the planet. They reached the Royal Children's Hospital with their eight expedition camels on the 22/11/09, one week after the successful separation of conjoined twins, Trishna and Krishna to support Moira Kelly (Trishna and Krishna's Australian guardian), and the Children First Foundation. The Darwin to Melbourne Thank You Camel Expedition 2008-2009 raised over thirty thousand dollars to help the foundation assist more children like Trishna and Krishna who are in desperate need of medical attention. is currently in the planning stage.. 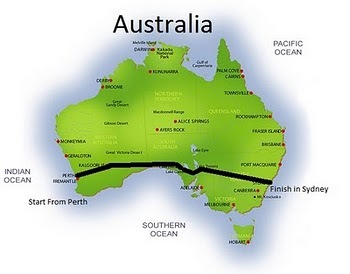 The expedition will leave Perth, travel across the Nullabor, through the deserts of Western Australia, South Australia, journey through New South Wales and arrive in Sydney for children in desperate need of life saving and life changing medical attention through the work of the Children First Foundation. 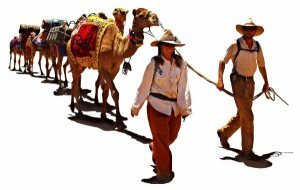 Russell Osborne will travel solo, completing the 4200km cross country journey on foot using camels as pack camels. Perth to Sydney Thank You Camel Expedition.